Time to 'Drain the Swamp': Will Soros Find Himself Behind Bars? American billionaire George Soros has long been known for sponsoring "color revolutions" across the world. However, it looks as if a strikingly similar pattern is now taking shape in the US. Speaking to RT, songwriter Vanessa Feltner, author of an anti-Soros petition, underscored that it's time to stop Soros and "drain the swamp." 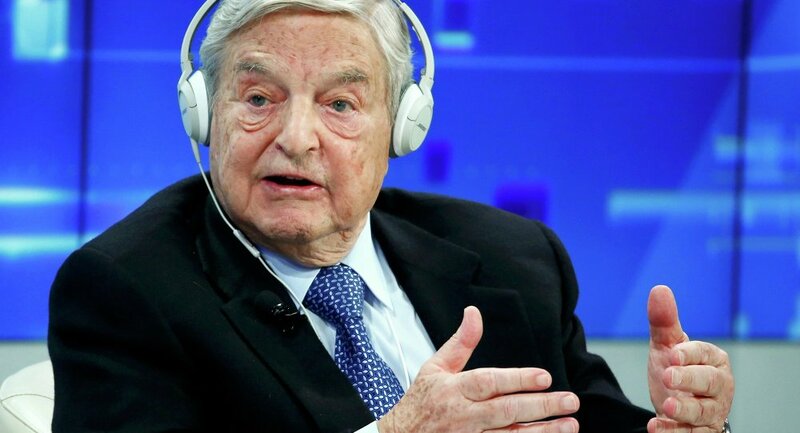 Over 10,000 people signed an online petition calling upon US President Donald Trump to ban billionaire George Soros from the United States for inciting color revolutions and carrying out social engineering experiments. "President Trump, We the people are asking you to ban George Soros from our country. We ask you to ban both George Soros and all his family members from doing any and all business in our country from contributing to politicians or their foundations in order to influence and manipulate our corrupt politicians," the petition, drawn up by pianist and songwriter Vanessa Feltner, says. Speaking to RT, Feltner noted that Soros has been repeatedly spotted inflaming riots in Europe and other parts of the world, to complicate matters further now his controversial activities pose a threat to the United States. While the US mainstream media continues to dub anti-Trump protests as "spontaneous," it has turned out that more than 50 groups behind the marches received funding from Soros. One of these groups is MoveOn.org, which plays a significant role in organizing the protests. Hacked emails of Hillary Clinton's campaign chair John Podesta published by WikiLeaks indicated that the organization has long been receiving support from the billionaire. After the results of the US presidential election were announced, MoveOn.org released a statement calling for mass protests. "Americans to Come Together in Hundreds Peaceful Gatherings of Solidarity, Resistance, and Resolve Following Election Results," the statement read as quoted by Breitbart News. A police officer sprays the crowd with an irritant during a protest against the election of Republican Donald Trump as President of the United States in Portland, Oregon, U.S. November 12, 2016. 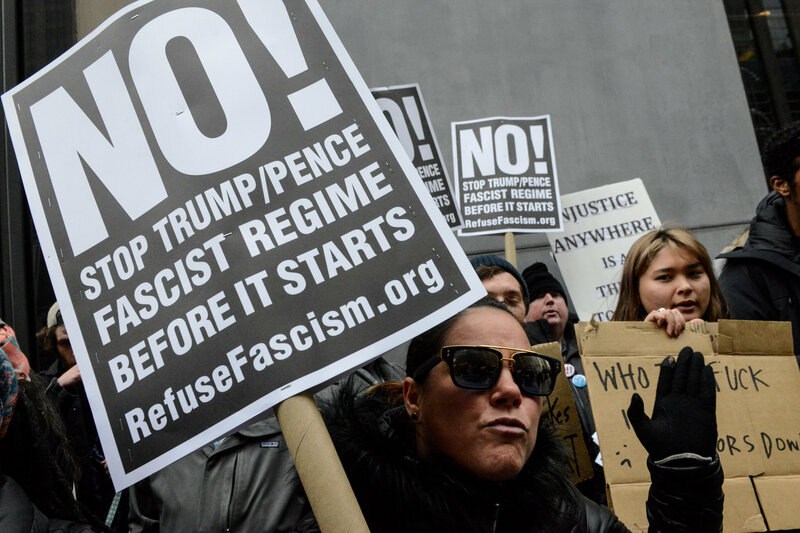 A series of protests over the 2016 election results, female rights, Trump's executive order on immigration and other "progressive" matters has taken place across the US since November 2016. "There's kind of a tradition of paid protesters. That's not a job per say, but special interest groups have funds, they are somewhat quite organized. They will pay people to protest in support of an issue. They provide attorneys, they provide places for them to stay, they rent houses, they provide medics for them," David Carter, professor of the School of Criminal Justice, told Radio Sputnik on November 12, 2016. Speaking to Sputnik in early February geopolitical analyst, author and editor in chief of News Junkie Post Gilbert Mercier stressed that pseudo-spontaneous protests have Soros' fingerprints all over them. "George Soros and his Open Society Foundations, which is a network of more than 100 foundations, and still has offices in countless countries including one in Afghanistan, has his finger prints all over the pseudo spontaneous anti-Trump protests, not only in the United States, but worldwide," Mercier said. Protesters head towards the White House for the Women's March on Washington during the first full day of Donald Trump's presidency, Saturday, Jan. 21, 2017 in Washington. Soros doesn't conceal his negative attitude toward Trump. "I have described him as an imposter, a con man and would-be dictator," Soros told Bloomberg at the World Economic Forum on January 19, 2017. It is no secret that Soros' Open Society Foundation and its numerous affiliates were involved in numerous "color revolutions" and social uprising in the post-Soviet space, Europe, the Middle East, North Africa and Asia. "Serbia, Georgia, Kyrgyzstan, Ukraine, Lebanon, and the 'Arab Spring' in Tunisia, Egypt, Libya and Syria — the technology has been well tested," Radio Sputnik contributor Svetlana Kalmikova said in her recent op-ed. A woman holds an anti-Trump sign during inauguration protests in New York City. According to Kalmikova, a strikingly similar pattern is currently taking shape in the US. Needless to say, the recent smear campaign launched by the US mainstream media against US President Donald Trump falls within the trend. In her petition on Change.org Feltner cites George Soros' book The Age of Fallibility in which the billionaire argues that "the main obstacle to a stable and just world order is the United States." According to Feltner, Soros' and other globalists are seeking to destroy the country. She told RT that once the petition collects 10,000 signatures she will redirect it to the US President. "I'll hand Donald Trump the petition, and then will draw up another one on the White House web site. We are determined to stop Soros and get rid of politicians who received money from him. We will drain the swamp and put them behind bars," Feltner emphasized.